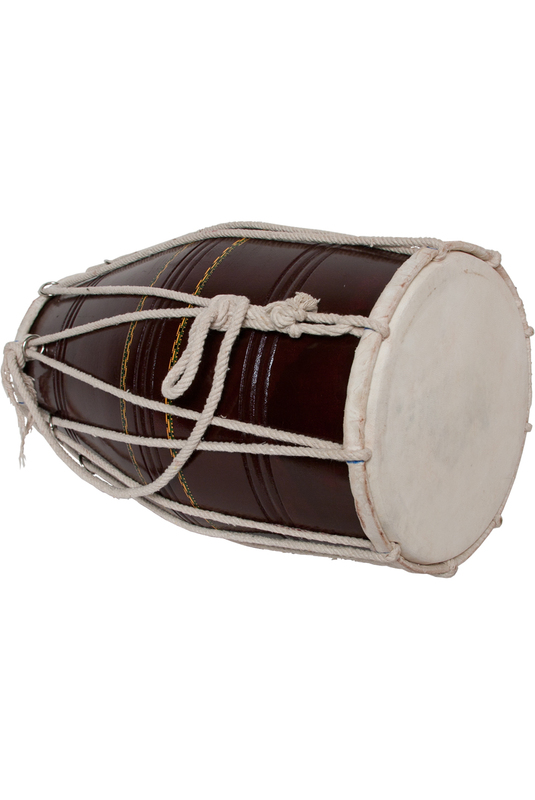 banjira 17.5 Inch Deluxe Dholak Mumbai Style Cord & Ring Tune. 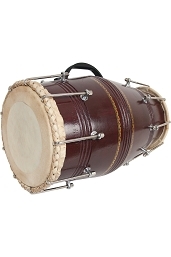 Deluxe two-headed wooden dholak drum with a tenor and bass head. Drum is held horizontally and played on both sides. Heads are held in place and tuned by rope and rings. In India, these extremely popular percussion instruments are commonly used in folk music and during marriage ceremonies. The shells are manufactured in the Northern Indian State of Uttar Pradesh and made with locally grown neem and sheesham. After transporting to Mumbai, the goat skin heads are fitted to the drum shells with rope for tuning. Playing Surface: Tenor: 6.5" and Bass: 8.5"